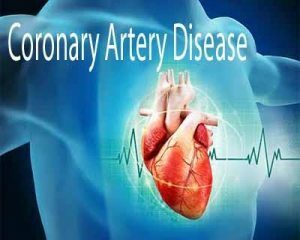 Washington : Researchers have found that undergoing a computer tomographic angiography was a better motivator to get people with suspected coronary artery disease to adopt healthier lifestyle practices than an exercise electrocardiography and stress test. A higher percentage of people, who underwent the CTA test adopted healthier practices, including taking preventive medication, eating better and losing weight, while those who underwent the other tests did so at a lower rate. To examine the factors influencing why people choose to adopt preventive medical therapy and healthier lifestyle practices, the researchers randomly assigned 10,003 people, who were symptomatic for coronary artery disease, to undergo a CTA or exercise electrocardiography and stress tests. They also assessed the association of preventive changes with major cardiovascular events. The study participants had a mean age of 61 and 53 % of them were women. There were no differences among the study participants in medications or lifestyle at the start of the study. The research team led by Joseph Ladapo, found that after 60 days a higher proportion of those who had the CTA had adopted preventive measures such as taking aspirin (11.8% versus 7.8%), statins (12.7% versus 6.2%), and beta-blockers (8.1% versus 5.3%), compared to those who underwent exercise electrocardiography and stress testing. They also found that more people in the CTA group were eating healthy, and rates of obesity or overweight status were lower, compared with other the group. The researchers, however, observed no significant differences between CTA and stress testing strategies when it came to exercising, quitting smoking or losing weight. Also, positive initial test results and types of surgery like bypass or angioplasty, demonstrated stronger associations with preventive medications and lifestyle than the type of test the participants underwent. Four million adults in the United States undergo stress testing or CTA each year because of suspected coronary disease. These patients are at high risk for heart problems, but they are often not treated with the right medications after testing. The study indicates that different tests lead to different rates of adoption of preventive care and lifestyle choices. It is likely that national testing practices need to be revised to reduce variation and uniformly improve cardiovascular disease prevention. The study was published in the Journal of the American Heart Association.